Capital Splats Racquetball Association (The Capital Splats) was founded in 2010 to establish a friendly place for LGBTQ and Allies in the Greater Washington D.C. Metropolitan Area to play racquetball, learn and/or enhance racquetball skills, and meet other players. Players within each division play each other during the season to be counted toward league standings and may also play any other players in the league for fun. 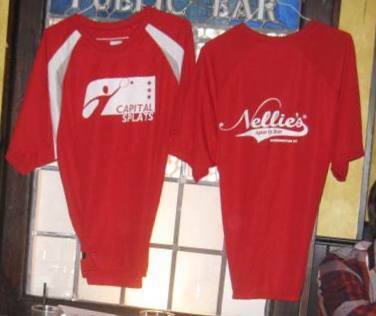 Get your own Capital Splats Jersey ($10 sm, md, lg; $12 xl, 2xl). See Art Thomas for details at artthomas58@gmail.com.